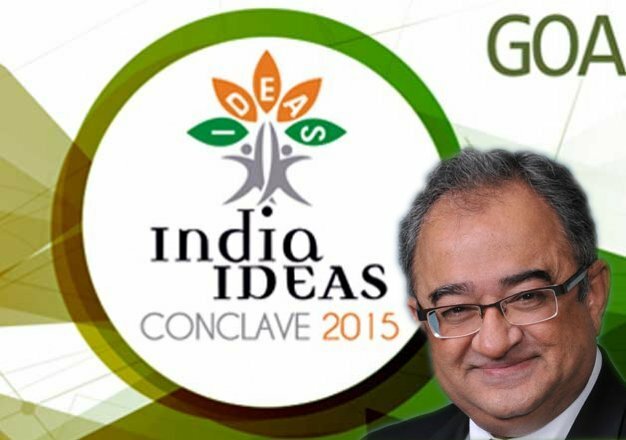 The second edition of the India Ideas Conclave 2015 is being held in Goa, from November 15th to November 17th. It is organised by the India Foundation, and brings together a luminary gathering of policy makers and public intellectuals from around the world. Over 350 intellectuals, professionals, scholars, journalists and social activists participated in this conclave. One of such sessions was on the topic ‘Rise of Radicalism – Future of Civilisations’. One of the speakers was Canadian author and columnist Tarek Fatah. His searing attack on radical Islamism in Pakistan was the highlight of the session. Mr Fatah came down heavy on the “Idea of Pakistan” calling Pakistan the original “Islamic State” much before ISIS (Islamic State of Iraq and Syria) came into existence earlier this decade. He declared it a waste of time and utterly useless an activity to engage with Pakistan hoping that it will bring peace and stability in the region or in the world. Mr. Fatah said that he respected Prime Minister Narendra Modi’s motives, but added that the government of India was being foolish if it thought that Pakistan has any interest in dialogue or peace. Instead of a dialogue, Mr. Fatah argued for an aggressive policy to dismember and dismantle Pakistan, as the current idea of Pakistan was incompatible with modern global ideas of peaceful coexistence. He argued that it was a grave mistake by India to let Pakistan off easily after the crushing defeat in Bangladesh liberation war. India should have gone for total annihilation and liberated even Baluchistan back then, he argued. Justifying his aggressive and combative approach towards Pakistan, Mr. Fatah said that Pakistan was more cunning and dangerous than ISIS as it had nukes, and because it was the only group in the world that has successfully been fooling India, US, and China at the same time. He mocked people for believing in “aman ki asha” type of efforts and expressed shock and dismay that some people recently went to Pakistan believing that that country could help bring peace to the region. He reiterated that Pakistan represented that radicalism that is now being witnessed as global terror in different parts of the world, most recently in Paris. He said that it was unfortunate that many Muslim youth across the world were getting drawn into this radical version of Islam, which finds its roots in Wahhabi version of Islam. This version is also about superiority of the Arab race, and that’s why people in Pakistan are increasingly trying to ape the Arabs. Apart from dismembering Pakistan, he had another solution to fight radical Islam – promotion and propagation of the Indian version of Islam – which is so heavily intermingled and married to Hinduism, that divorce is not possible.